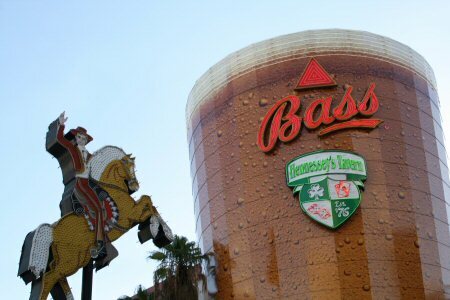 The world’s largest pint glass? WTF? 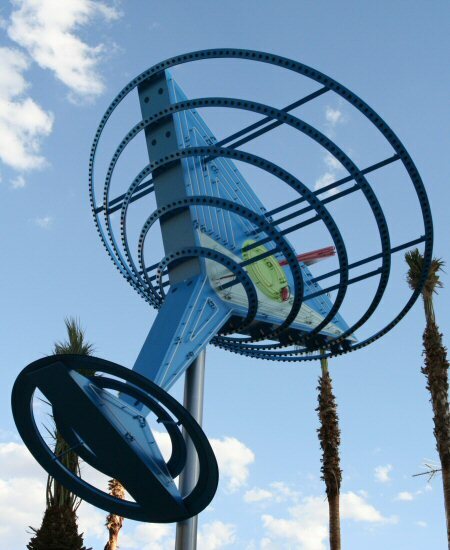 This monstrosity is at the gateway to the new Fremont East entertainment district, an attempt to remove the fear aspect from the scary part of Downtown you have to walk through to get to the El Cortez. So where’s the fun in that now? The sidewalk is wider (the street has become one-way to make room) and there’s a few more brand new faux-vintage neon signs added. This one continues the alcohol theme. It’ll be great when it’s finished, but right now most of the building are sitting empty, waiting to be turned into bars. Mayor Oscar has re-zoned this section of Fremont Street as heavy drinking. Why was that never an option in Sim City? 1 comment to Day 21: World’s Largest?